Helen Binney's never felt better! Her lupus is in remission, and she's taking up gardening for its health benefits. Only her first day at the community garden is anything but relaxing when she finds a woman's body, lying beside a bulldozer that belonged to the dead woman. Was the early-morning death an accident, as the police believe, or did it have something to do with a dispute over title to the garden's land? 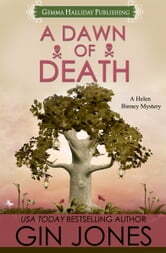 Helen finds out that the victim was a real estate developer, but she wasn't the only one with an eye on the property. Could she have been killed by one of the gardeners to prevent the land from being sold? Perhaps the outspoken, Harley-riding, ex-military town clerk...or a rival developer? Helen's handsome friend/lawyer Tate warns her to stay out of the investigation, but she's feeling invincible and can't resist asking a few questions. If she's not careful, though, there might be another death at dawn. "Lethally clever! 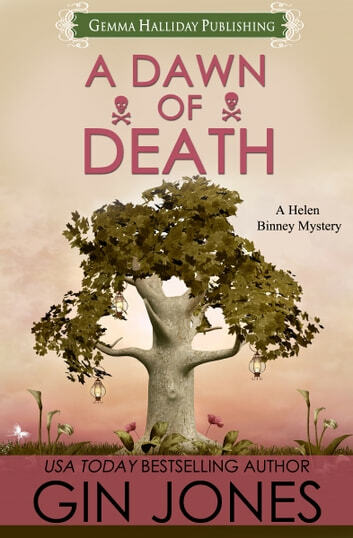 Gin Jones's first Helen Binney mystery will have you laughing, smiling, and on the edge of your seat wondering whodunit. I can't wait for more from these characters!"